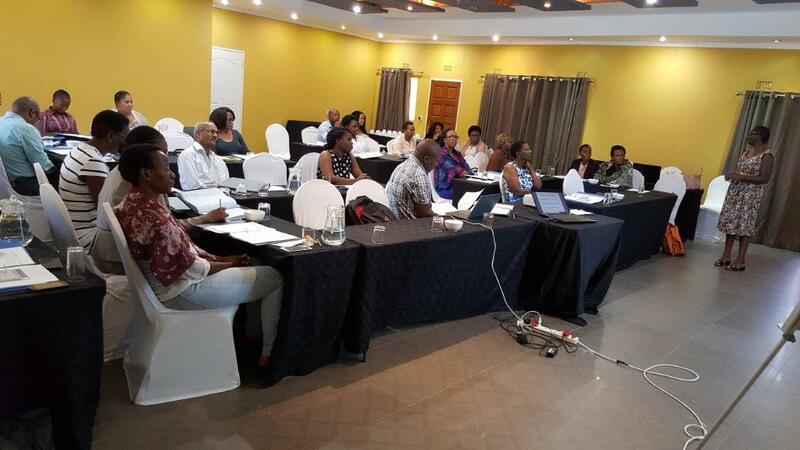 Gaborone, Botswana - 28 November 2017: A capacity building training for the members of the Botswana national EMTCT Validation Committee (NVC) was held in Gaborone from 22-24 November 2017. The committee was appointed by the Ministry of Health and Wellness to help spearhead assessment and compilation of a country report on efforts to eliminate mother-to-child transmission of HIV and congenital syphilis. The committee will ensure that the national assessment is in line with the global guidance for the validation of elimination of mother to child transmission of HIV and congenital syphilis launched by WHO and partners in 2014 (The Orange Book). Since the launch of the Orange Book, 10 countries, all of them from outside the Africa region, have been validated for the elimination of mother to child transmission of HIV and/or congenital syphilis beginning with Cuba in May 2015. 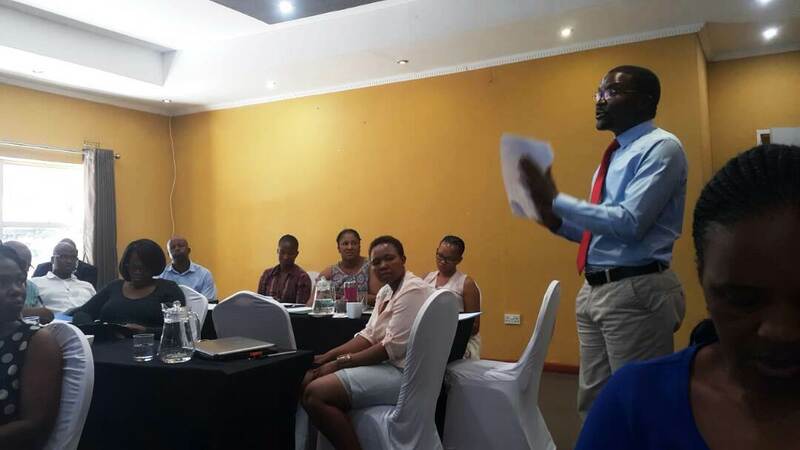 The 3 days training was opened by the Ministry of Health and Wellness Public Health Specialist and Head of HIV Programmes, Dr Bonaparte Nkomo, on behalf of the Deputy Permanent Secretary of the Ministry of Health and Wellness, Dr Haruna Jibril. In his remarks, the DPS stressed that the Government of Botswana was committed to eliminating mother-to-child transmission of HIV and congenital syphilis. He challenged the committee to work harder and realize this target. Earlier on during the debrief with the mission leader, the WHO Country representative, Dr Martins Ovberedjo, underscored the strategic importance of eliminating mother-to-child transmission of the HIV and congenital syphilis. He emphasized that despite high levels of prevalence, the country has made tremendous progress in reducing the mother-to-child transmission of HIV to below 2%; and that this needs to be documented and recognized. He called upon all partners to continue working with and supporting government in this noble task. The lead technical assistance was provided by WHO led by Dr Innocent Nuwagira, a technical expert from the Family and Reproductive Health Cluster, based at the inter-country support team in Harare, Zimbabwe assisted by Dr Linda Nabitaka, an expert from Uganda. 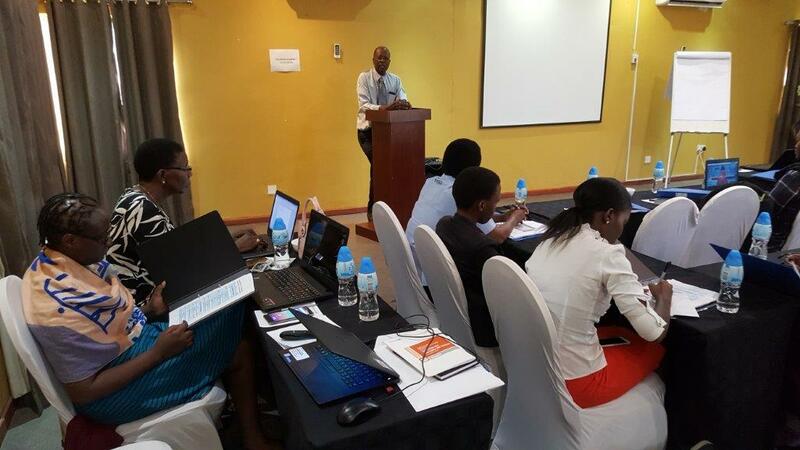 Having piloted the draft criteria and processes that led to the development of the Orange Book, Botswana is one of the two countries in the Africa region to have formally constituted NVCs, the other being Uganda. 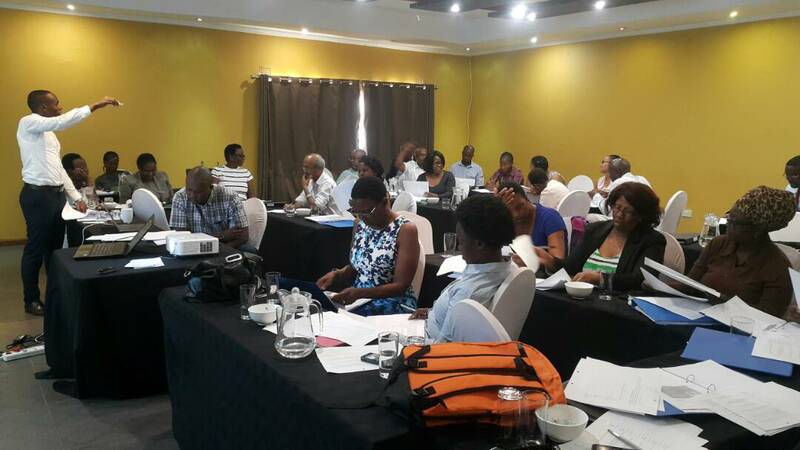 Botswana has now taken a step further by being the first country to capacitate its committee and to orient them through the standard tools and checklists used to conduct assessment and compile a national report, a first step in the validation process. The NVC is composed of national experts in the areas of programme management, epidemiology, laboratory, human rights, and monitoring and evaluation drawn from public, private, UN and civil society organizations. Africa regions bears the blunt of the AIDS pandemic, contributing about two-thirds of the global burden with 21 high burden countries of the region contributing more than 70% of the new infections among children. The global criteria provide that for a country to be validated, it has to meet specific impact and process indicators. There are two impact indicators for HIV: new infection rates among children (case rate) of no more than 50 per 100,000 live births; and mother-to-child transmission (MTCT) rate of no more than 2% for non-breastfeeding populations or 5% for breastfeeding populations. For congenital syphilis, the impact indicator is the case rate of no more than 50 per 100,000 live births. The process indicators are antenatal care coverage of at least one visit of 95% or more, screening for HIV and or syphilis of at least 95%, and treatment for syphilis or on ARVs of at least 95%. A growing number of countries in the Africa region are meeting the process indicators and the MTCT rate requirement. However, due to the very high burden of HIV in many of these countries, most of them could not meet the set case rate requirement. As such, a new approach of recognizing tremendous progress towards elimination of EMTC, now called the Path to Elimination, has been developed and agreed globally. This this approach maintains the MTCT rate requirements but tapers the case rate so that a country with no more than 750 cases per 100,000 can be awarded a BRONZE certificate, those with 500 per 100,000 live births or less qualify for SILVER and those with 250 per 100,000 live birth or less qualify for a GOLD certificate. The gold tier is the highest ranked in the Path to Elimination and the final step toward elimination. The process indicators are capped at 90% for Bronze and Silver tiers, while for Gold they are capped at 95% for both HIV and congenital syphilis. With this consideration, many countries can be recognized for the assessed level of progression along the path to elimination. In preparation to support countries, the WHO Africa Regional Director appointed a regional secretariat headed by WHO but including representation from UNICEF, UNAIDS, UNFPA, CDC, EGPAF and other partners. This was inaugurated and oriented in August 2016 and is ready to work with and support countries moving forward.